PIPE AND DRAPE CAN TRANSFORM YOUR VENUE TO "WOW! Pipe & Drape is so versatile and can really transforms any space. It can be used to create amazing head table backdrops, wedding altars, vip areas, cover unsightly walls, divide rooms and more. We use high quality white draping to create an amazing ambience and feel for your event. Imagine that you have a very large room, but a small event. With pipe and drape, there's no need to have 100 people sitting in a huge space normally used for groups of 300. Strategically placed pipe & drape can transform that large room into a more intimate and beautiful area. Add up lighting for a more dramatic effect. 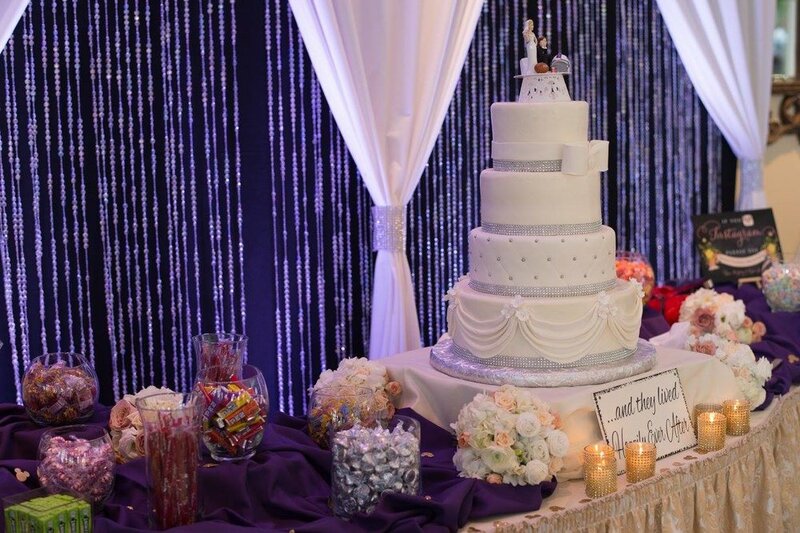 Sound Express Entertainment Group offers Crystal Columns to be hung at your event. They can be hung on the 4 corners of the dance floor, on either end of the head table, out in the foyer area or anywhere that needs a little bling. Sound Express offers so many cool Grand Entrance options. 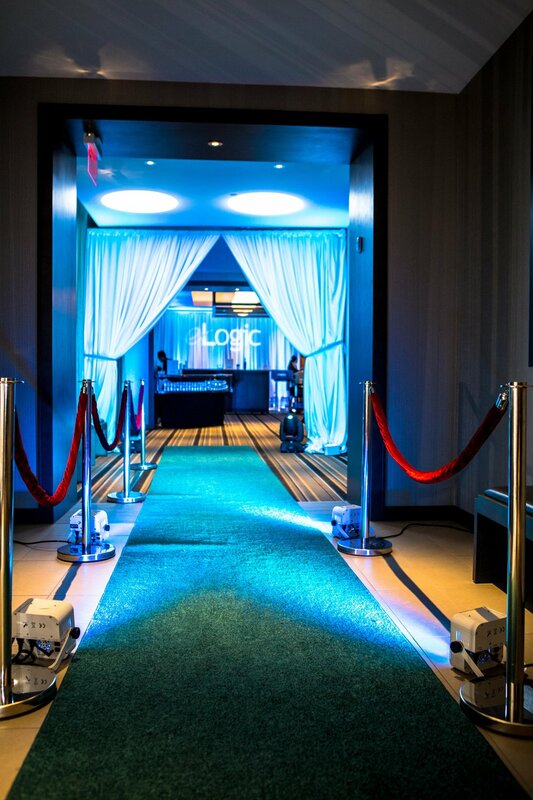 From the Red Carpet Runway to the Chrome Stanchions with Red Velvet Ropes to the Custom Step & Repeat Backdrop with your name on it! 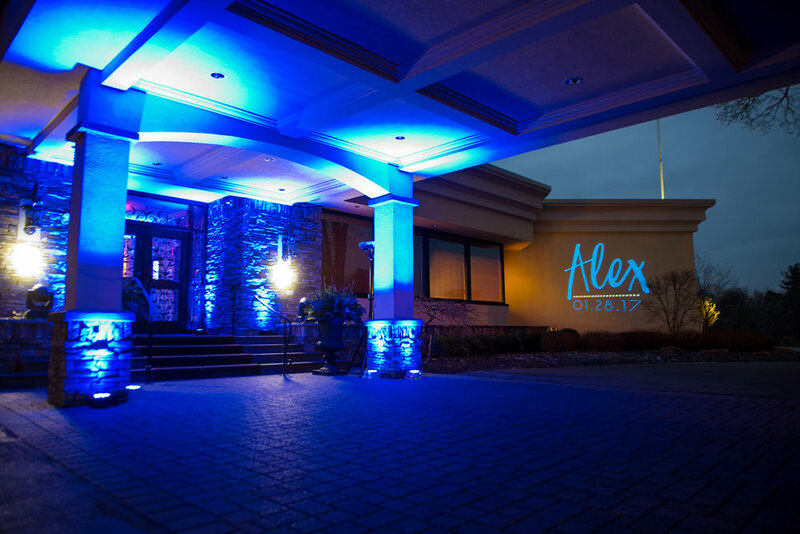 Adding Up Lighting, Intelligent Lighting, Draping, Outside Monograms and even a Photographer taking pictures as your guests arrive. We do it all! Sound Express will "Make it Grand"!